Marie thinks she's an excellent judge of character. And Bjorn thinks the same of himself. Only time will tell who is the better judge. 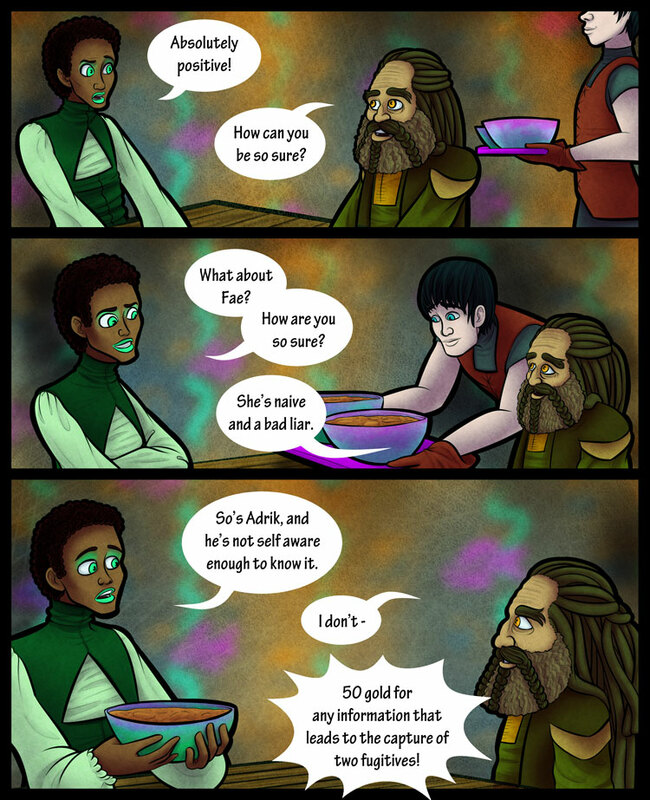 Arvalon from Planet Chaser makes a return appearance on today's page. Sorry for the late update! I forgot that this past weekend was a holiday weekend and lost track of what day it was. Also, this page marks the last page in the current scene. Weekly updates will resume when the pages for the next scene are completed. Also, also, I'm working on a surprise for all of you that I'll hopefully get to unveil sometime this summer.